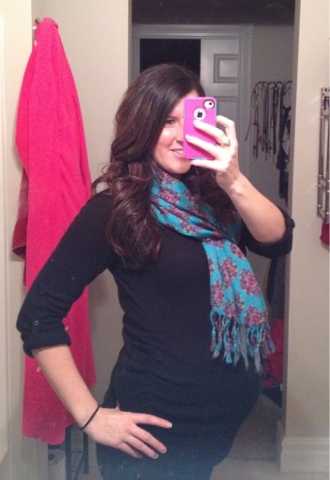 34 weeks: 6 weeks left to go! The closer I get to that 40 week mark, the less ambitious I get. At least I'm accomplishing the nursery. We put together the crib a couple nights ago, and I love it! I got the crib bedding in the mail, too, so I washed and put it on yesterday. As far as movement goes; she does not stop. That's okay though, I'm not complaining. I've never once gotten annoyed of all the movement going on, it's a nice reminder that she's there. Lately I've been wondering when she's going to come. I hate not knowing; is she gonna be on time? Early? Late? 2 weeks early? 1 week late? I just need to know!!! Baby size: 4 and 3/4 pounds and 18 inches. Baby is the size of a cantelope. Symptoms: Feeling heavy pressure in my pelvis, she must be dropping. Running is also getting to be more challenging. 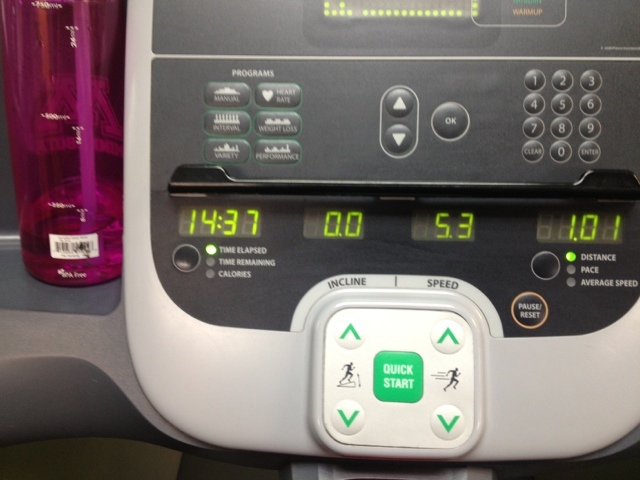 I'm now down to 1 mile on the treadmill and slowing down. Food Cravings: Nothing specific comes to mind, but my appetite is definitely big. Every now and then I'll crave a burger, but not a fast food burger, yuck. Sleep: Still going really well, just getting up to pee 2-3 times in the night.